This is a small family winery located in the Napa Valley dedicated to producing single-vineyard wines. The inaugural releases were in the spring of 2017. Mike Metzker has a background in genetics and several biotech start-ups focused on next-generation sequencing and genomic medicine technologies. Wines were initially produced under the Laurent label beginning in 2014. 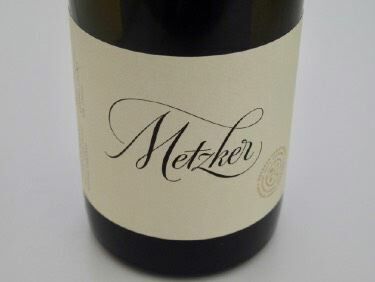 Metzker Family Estates was founded in 2014 and henceforth the wines will be released under the Family moniker. The next step is to acquire estate vineyards. The winemaker is Melissa Apter Castro who joined the team in late 2016. Melissa Apter Castro has an impressive resume, being named one of "Napa's Most Exciting Winemakers" in 2016. She has had winemaking experience with Cabernet Sauvignon, Pinot Noir and Chardonnay. Chardonnay is sourced from the renowned Ritchie Vineyard, Pinot Noir from Fort Foss Vineyard in the Sonoma Coast. Cabernet Sauvignon is sourced from the Spring Mountain AVA. Cameron and Adrienne Metzker relocated from Texas to run the business and oversee sales and marketing. A second label, Laurent, pays homage to the French influence of winemaking and includes a Pinot Noir, a Rosé of Syrah and a Chardonnay. The wines are sold through a mailing list.